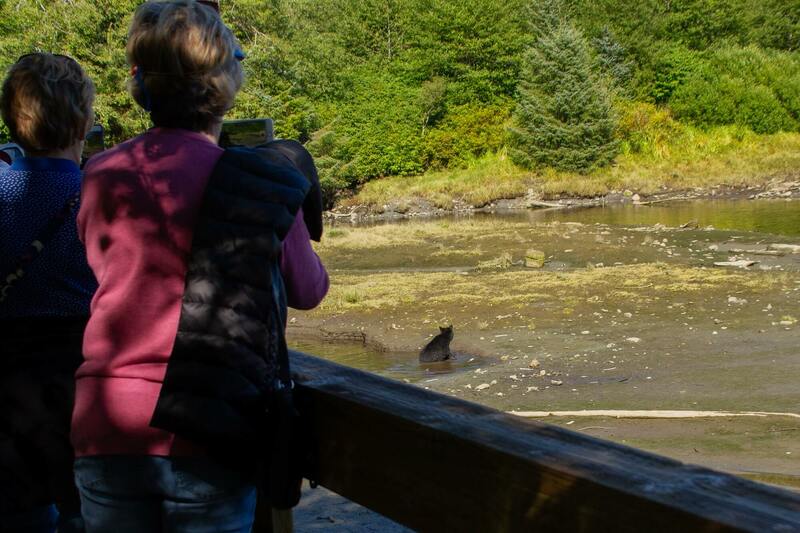 See black bear in their natural habitat, only a short drive from Ketchikan. Your experience will start with a narrated tour through Ketchikan, followed by a scenic coastal drive to the Alaska Rainforest Sanctuary. Within a very short time, you’ll find yourself in bear country. 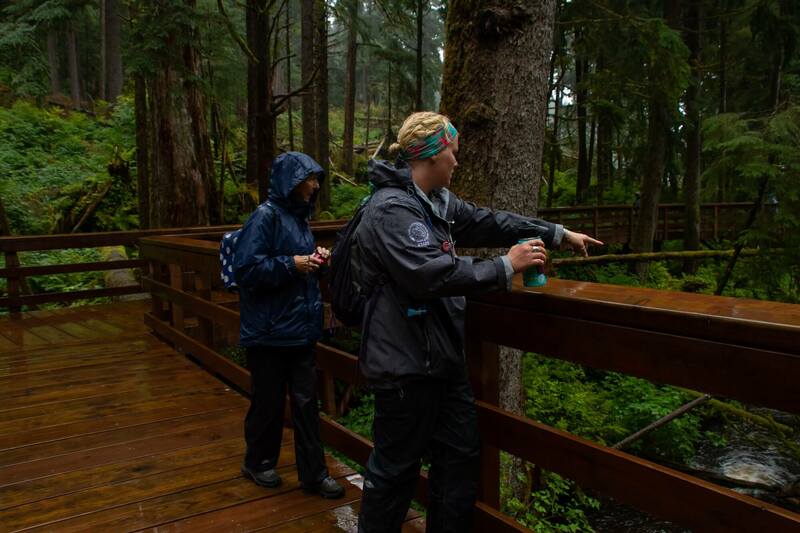 This is one of the most accessible bear-watching areas in Southeast Alaska. Your tour will cover a lot of ground and include many highlights. When you arrive at the sanctuary, a naturalist guide will join you, bringing the rich forest to life as you walk along an improved trail. You’ll be surrounded by magnificent stands of spruce, hemlock and cedar trees. And soon you’ll be watching for wild bears in search of spawning salmon and ample berries. These are safe, protected raised boardwalks, and you can expect to have an intimate viewing experience. To reduce environmental impacts, only a limited number of groups have access to this private bear viewing area. Your guide will lead you along another boardwalk system perched over the grassy wetlands alongside Herring Creek. 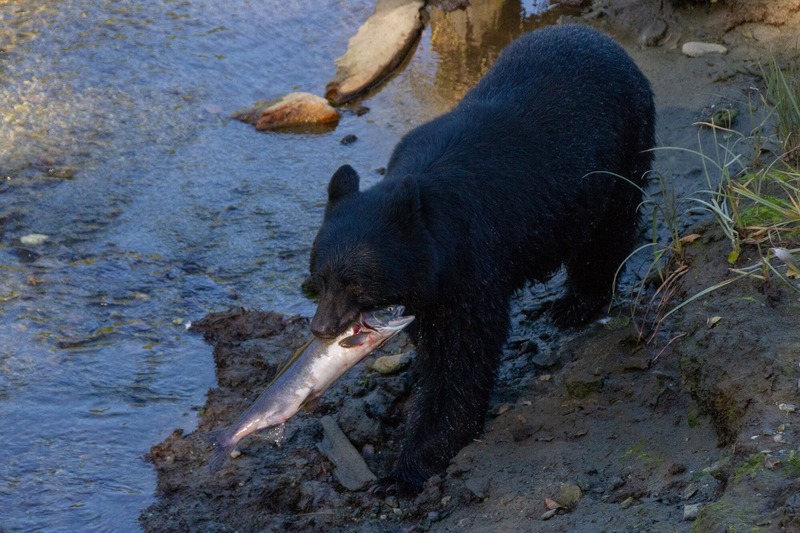 You’ll now observe a rich run of spawning salmon and the bears and seals that come to fish for them, along with bald eagles and other birds that wait for scraps in the tidal estuary nearby. After your walk you’ll visit the Alaska Raptor Center exhibit, where you will learn about rescuing and rehabilitating injured eagles and other birds of prey, and about their history and habitats. And you’ll see some of these awesome birds up close. Next up, the historic Herring Bay Lumber Company Sawmill and the Tsimshian totem pole park, home to an impressive 40-foot totem and 13 other poles, all from one master carver. And don’t miss the General Store where you can shop for that perfect souvenir. Please Note: The half-mile long trail is over relatively flat terrain. 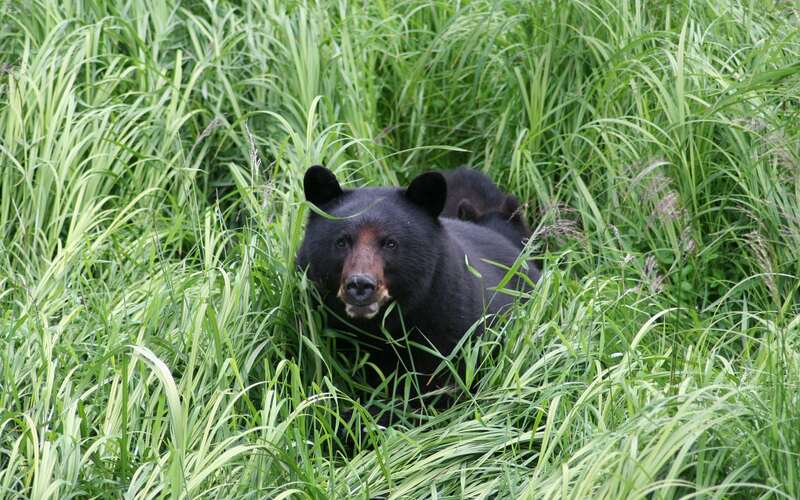 The focus of your tour will be on viewing black bear in their natural habitat. Your guide may change the order of the tour or time spent in any one area to give you the best chance to see bears. Although the chances for seeing bear are excellent, wildlife sightings cannot be guaranteed. The wildlife viewing time is approximately 60 minutes. Anyone under 18 must be accompanied by an adult. No food or drink is allowed on the trail. You must follow your guide’s instructions at all times to ensure your safety. This tour operates in all weather conditions. Rain ponchos are available, if necessary. This experience includes walking for short distances over relatively level terrain, possibly with a few steps or slight inclines. Participants should be able to move into and out of buses or vans. We went to the Rainforest Sanctuary on our Ketchikan stop. Amy and Clara were awesome guides! We were lucky enough to see 2 bears on our adventure. It was amazing to see them in their natural habitat! We also got to see Sitka and teenager Lucy as an added bonus (Eagles). Great place to visit - walk way gives great views of bears with their young fishing and climbing trees. Penny & Riley were great at showing us around and spotting the wildlife. 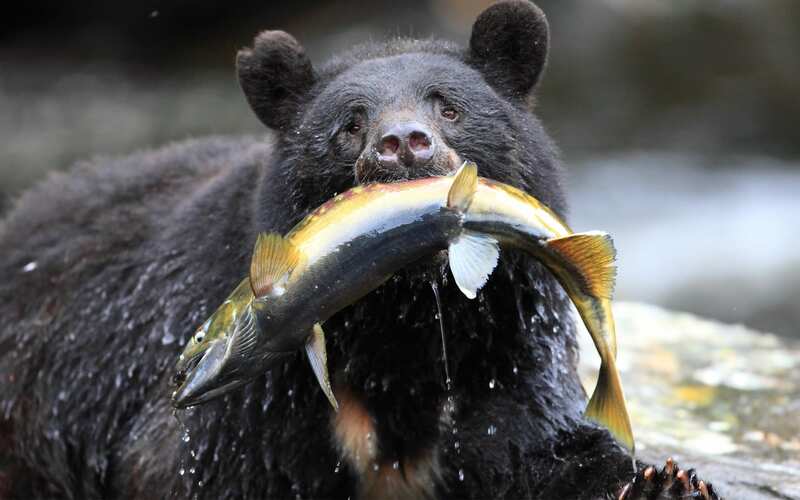 We got to see plenty of bear action feeding on live salmon, slurping up eggs. 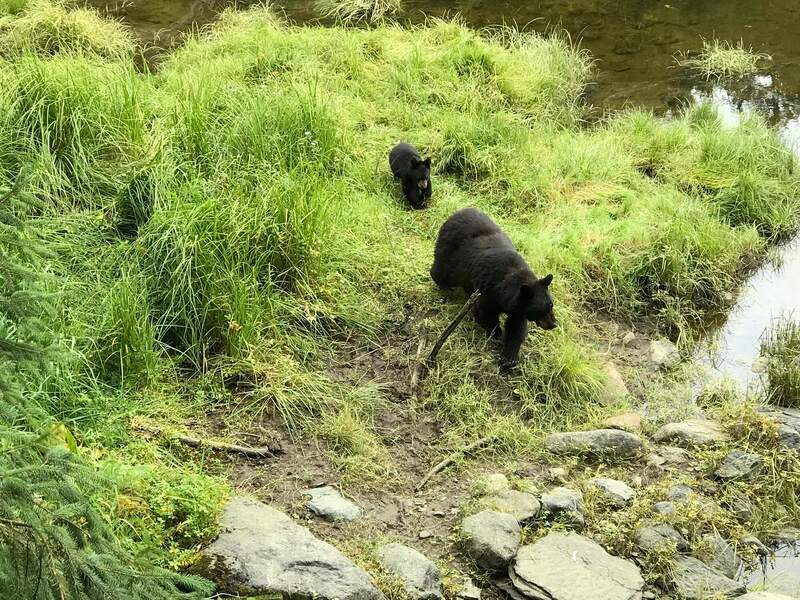 Momma bear and cub right below us! Then they both started to climb up a near by tree to the board walk. Our guides Savannah and Ana, a couple of real sweethearts, had us back away thinking we may have made things uncomfortable, but no, a male bear appeared for 10 seconds, saw us all and left the area. I also really liked seeing the 2 bald eagles up close. I could have hung out there all day! I got some amazing photos and video! And the girls were so friendly, nice, funny and very knowledgeable. This was one of the highlights of my cruise! I was on the Holland American cruise ship Niew Amsterdam and a week ago chose to do the Herring Cove excursion. This did not disappoint in fact we saw 3 bears and another curled up asleep in a hollowed tree trunk. The walk through the rainforest was gentle and not too long and we had 2 young men guiding us and answering all questions. We were given instructions on how to behave during the walk and when to be silent. Highly recommend this tour.